Henderson resident Alex Ramirez could’ve chosen many activities to occupy his Saturday morning. What the 9-year-old did was grab a shovel and help volunteers prepare the East End community gardens located at Washington and Holloway streets. This project was just one of many taking place in the community on Saturday as part of Henderson’s annual City Serve Day. Hundreds of volunteers, including several local churches and organizations, dispersed to locations such as Riverview School, South Heights and Jefferson elementary schools, Central Learning Center and various community parks to take on projects involving anything from landscaping to picking up trash. 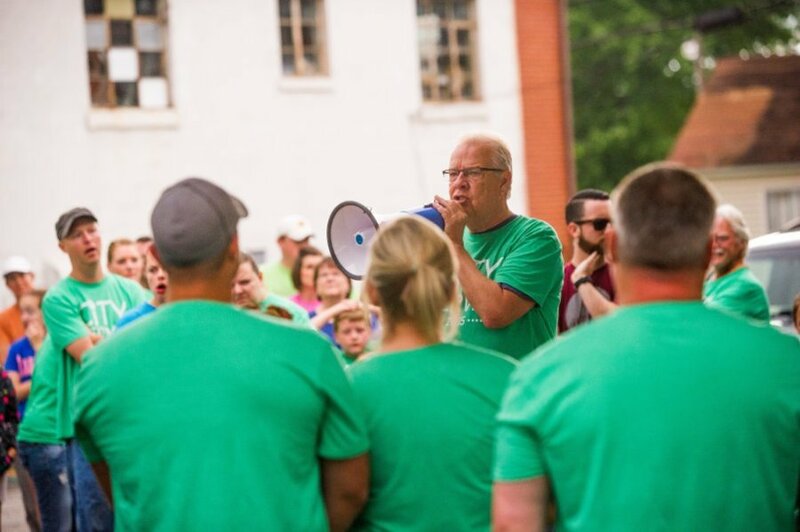 Henderson’s City Serve Day was held in conjunction with another City Serve Day, which also took place Saturday in Evansville. Audra Pirtle, a master gardener and City Serve volunteer, also spent several hours of her day at the community gardens. “Today we’re planting tomatoes, cucumbers, squash, some herbs and goji berries. I hope we can do more of this in our city,” she said. Henderson resident Stacey Vaughn also pitched in at the gardens Saturday. “I’d love to learn to plant flowers and keep them alive,” she said. Vaughn said the project has brought back a lot of great childhood memories of gardening with her parents and grandparents. The team being led by Nunn not only picked up trash in the East End, but also took note of graffiti and “potentially dangerous properties.” The information will be passed on to city workers so the graffiti can be cleaned up and decisions can be made regarding abandoned and dangerous structures. “We have a lot of teams out. It’s not just churches, it’s organizations too, coming together to engage our city. It’s a movement and we’re just trying to be part of it,” Nunn said.